Even after half a century, Steve McQueen's style is just as popular and inspiring as it was at the height of his film career. With this in mind, read on for some tips on how you can emulate his classic Hollywood look. Steve McQueen's clothing style is only half of what makes his enviable style. His success on screen, and off, came from playing the ultimate bad boy which resulted with legions of women wanting him and men longing to be him. His rebellious attitude and nonchalant spirit was the perfect match for the 60s counter-culture, making him one of the biggest style icons of the time. If you're hoping to replicate some of the Hollywood stars cooler-than-cool getups, read on for our complete Steve McQueen style 101. Sure, the main ingredient is Steve himself, that mischievous smile and rugged personality is not something you can buy. But everything else is, and when you know you look good your confidence will come naturally. Let's take a look at some of Steve's most memorable looks and break down how you can reinvent them with a clean, contemporary twist. In true 60s style, one of Steve's most common outfits comprised of a simple turtleneck with a tweed blazer layered over. A great look for the cooler months, this simple combination is a great middle ground for the guy seeking an outfit that'll translate easily from day to evening wear. An ensemble that wouldn't look out of place on someone going for the preppy look, on Steve it transformed into a suit of armour; proving to us, yet again, that wearing Steve Mcqueen's clothes is one thing, wearing them with style is another. Try pairing your blazer with a striking royal blue thin knit turtleneck and black trousers as seen below for a classic, yet out of the ordinary appearance. 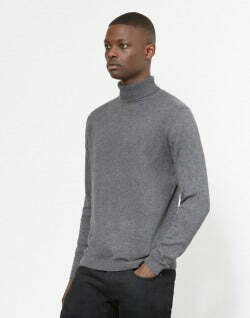 If you don’t feel brave enough to pull off the turtleneck, you can opt for a crew neck sweater instead with a rugged shirt. Go for something with a dark colour and some depth to the texture. 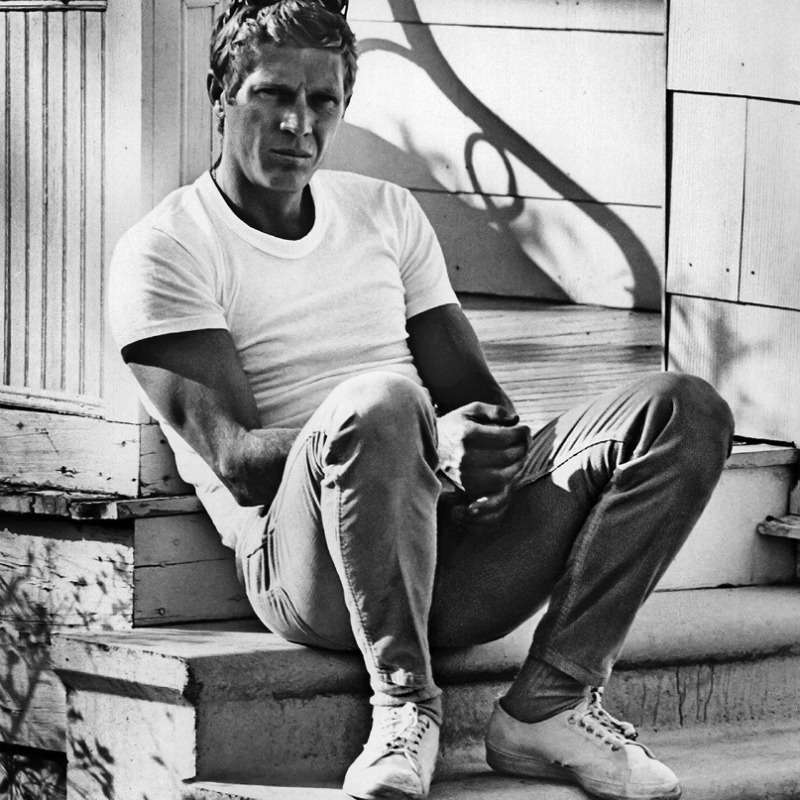 Avoid clean cut V-necks as they will make the whole outfit seem too considered - not Steve McQueen's style. 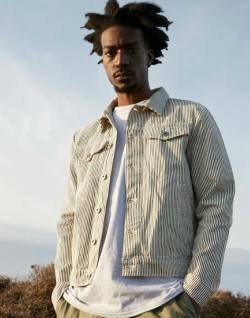 Double denim was, and still is, seen as the ultimate style faux pas; however, time and time again it's been proven that once your tones of denim aren't clashing you're usually alright. So you're better off pairing the same shades of indigo jeans and denim shirt to avoid any fashion disasters. 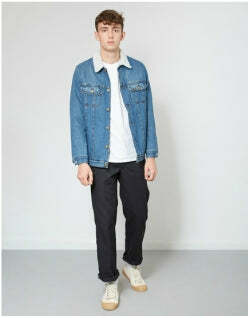 If you do want to go all out on the double denim front, opt for significantly different shades of denim. 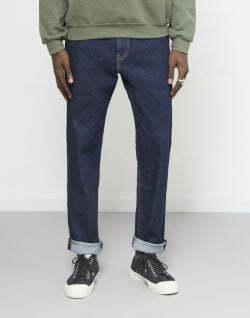 Pairing a well worn washed pair of jeans with a crisp dark indigo shirt is a perfectly acceptable way to rock the trend. 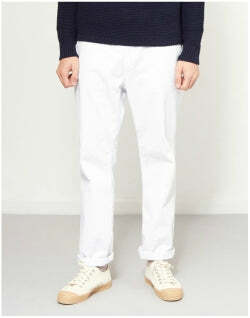 Otherwise, white, grey and black jeans work well both with denim shirts or denim jackets. Wearing some nice brown or black leathers like rugged biker boots and a quality belt can also help separate the top and the bottom. Being a lovable rogue is one thing, but pulling off the rogue look in a three piece suit? Now that is something. Even though Steve preferred clean-cut and rugged clothing like well-worn jeans and leather jackets, although he could rock a suit if the role called for it. To channel the cool Steve McQueen Suited look, go for a timeless classic like this Prince of Wales check three-piece suit. Paired with a classic pale blue semi-spread dress shirt and a navy tie it's both stylish and classic. 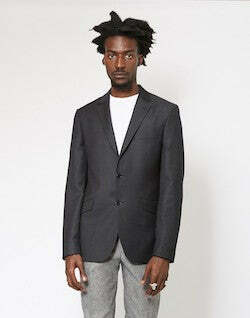 Note the french cuffs, a particularly dressy detail that you can also adapt if you feel like it. If not, two button barrel cuffs will do just as well. The good thing about grey suits like this Prince of Wales is that you can match them with almost any shade of leather. Go for stylish brown shoes like a pair of monk straps, whole cuts or cap toes for an Italian look. 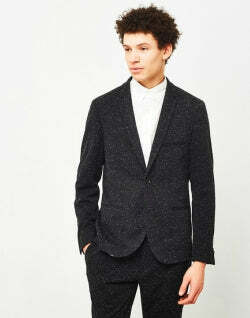 Or if you are aiming more for a British style, choose a pair of black oxfords or some black brogues. If the situation calls for a more formal approach, you can take cues from the black three-piece suit Steve donned in other scenes of The Thomas Crown Affair. The three-piece suit can be your best bet to dress like Steve McQueen as Thomas Crown, but a two piece will be more versatile. Steve's dressing could easily be described as a no-nonsense style that is easy to replicate but hard to master. A combination of rugged, well-worn pieces, superb fit and an attitude you can’t buy were the key ingredients to his secret recipe. This couldn't be highlighted better than with one of his favourite casual getups, a simple jeans and t-shirt ensemble. 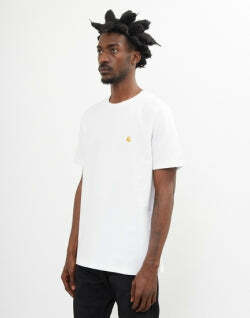 When it comes to t-shirts, Steve McQueen is a bit like James Dean - and by extension, like any other man on the planet. All you need to recreate his look is a lifetime supply of black and white crew necks, you simply can't go wrong with them. 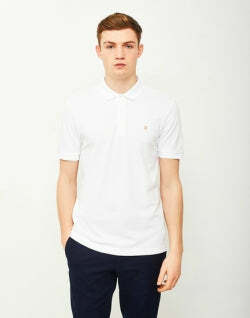 Versatile and workable with any piece in your wardrobe, they'll pay for themselves in no time. 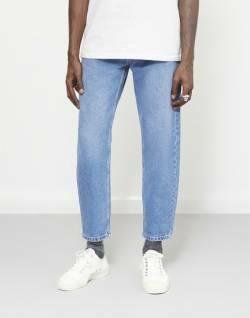 To channel the Steve McQueen style; a plain white t-shirt that fits like a glove, a pair of well worn light wash jeans and some beat up old canvas sneakers are all you'll need. While the sun is out, you can opt for classic sunglasses like the Aviator or Wayfarer. 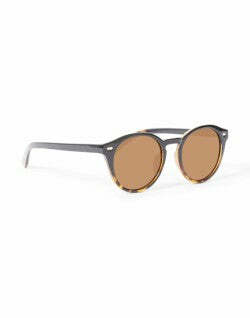 But if you really want the whole Steve McQueen ensemble, you can’t skip the Persol 714s. So now that you've got a grasp on how to go about recreating the iconic Hollywood legends most memorable looks, let's take a look at some of the key items you can pick up to inject a little of Steve McQueen's style subtly throughout your wardrobe. Being an age old choice of footwear for those living life on the road, it's not surprising that Steve McQueen's footwear of choice was almost always a solid pair of boots. 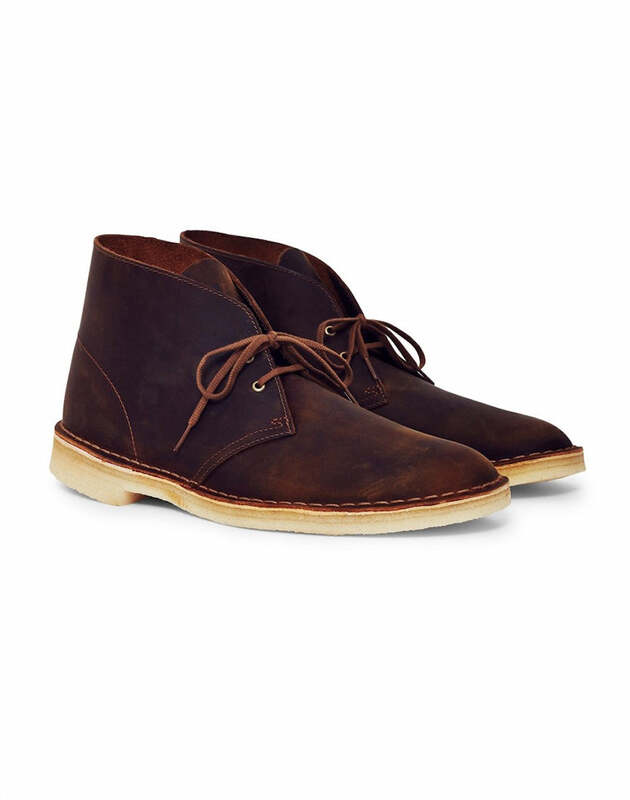 If you're hoping to give off your own Steve McQueen vibes, a pair of desert boots are exactly what you need to add to your collection. 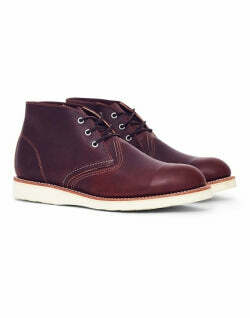 Chukka and desert boots are almost always made of suede, the softest and most supple variation of leather. 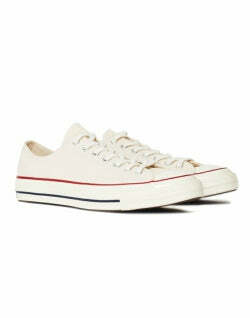 Apart from looking smooth and cool, they're extremely comfortable. You'll never want to take them off your feet. 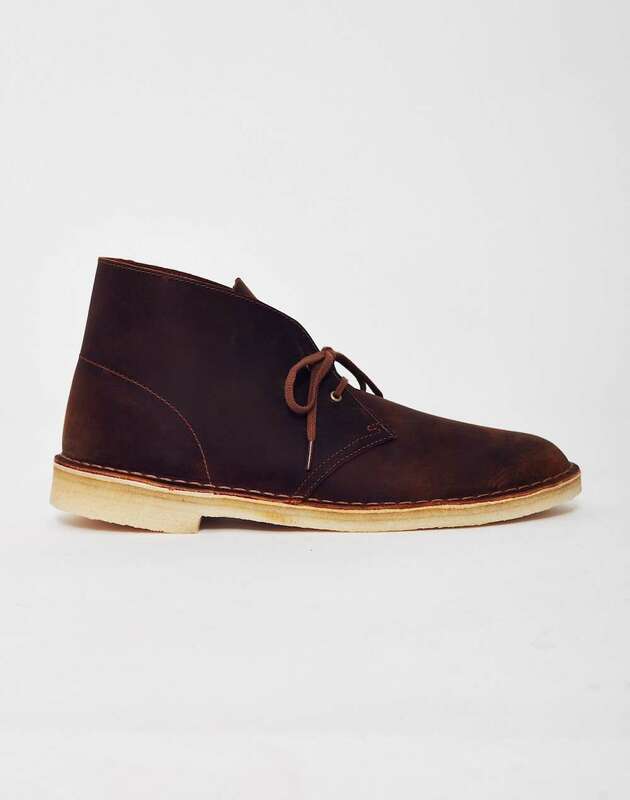 We've selected a few of the most stylish desert boots below that'll have you exuding your Steve McQueen vibes in no time. Both leather and suede options, in different shades of brown, to channel that rustic, yet incredibly stylish Hollywood fifties aesthetic. 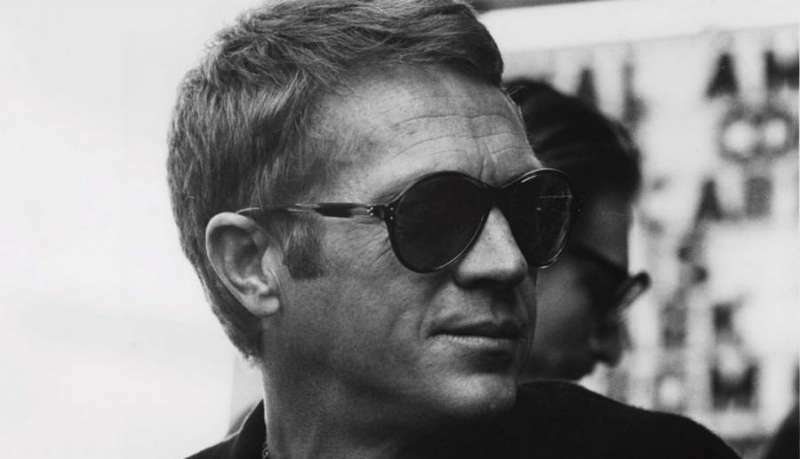 If there is an iconic piece everyone thinks of when Steve McQueen’s style comes up it must be the foldable Persol 714 sunglasses. Seeing the light of day at the beginning of the 60s as a modified version of the 649, the 714s were the world’s first foldable sunglasses. 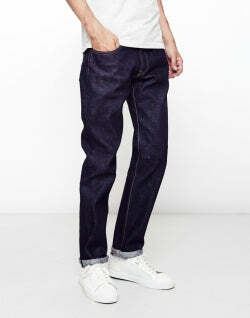 The 714s are undoubtedly the easiest way to dress like Steve McQueen. Featuring an acetate frame and a unique hinge mechanism, the foldable Persol 714s are a classic yet unique pair of sunglasses with a touch of history. Steve was the one who insisted he wears them in a number of his movies thus solidifying the pair as an unmistakable icon.